Facebook Connect is a system that allows any user with a Facebook account to join your site easily with just one single click. It saves your visitor the hassle of registering to yet another site and maintaining another username and password. With this system, your site can easily verify the identity of your site visitor and log them into your site easily. You need to have valid Facebook account. A transparent 1024px X 1024px icon is also required. Step 1: While logged in to Facebook website, browse to https://developers.facebook.com/ and from My Apps dropdown chose Add a New App option. Step 3: Enter the name of the app. This name will be displayed later when user tries to login or register on your site, so we recommend that you name your app exactly as your website name is. Step 6: Click on the Skip to Developer Dashboard link as indicated on the image. 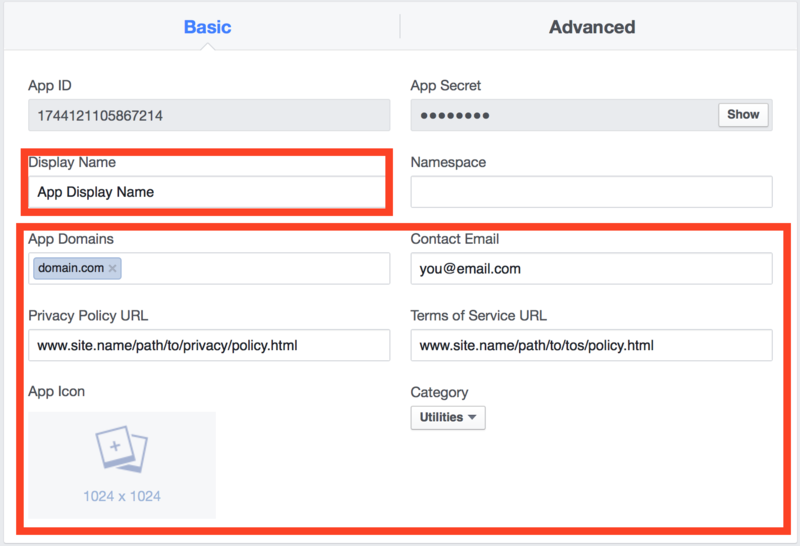 If you decide to still click on the large box with Facebook Login title, that is fine too, but then you will be redirected to the Facebook Login documentation which is not really what we need. Step 1: Once in the App Dashboard, go to Settings from the left menu and make sure you are on the Basic tab. To ensure faster approval of your app, enter all the details as explained bellow and save changes. Display Name - Enter the name which will be shown in the Facebook Connect login window at your site. App Domains - Enter the domain name WITHOUT http:// or www prefixes. Contact Email - Enter the contact email Facebook will use if there is a problem with the app. Terms of Service URL - Full URL to your ToS policy. App Icon - A high quality icon which will be used in Facebook Connect popup window. Make sure that dimension of the file are exactly 1024x1024px and that it is transparent PNG icon. Facebook will actually nag about non-transparent icons with solid color backgrounds. Step 2: Go to App Review link from left-hand sidebar navigation and make your app public. This will automatically initiate review process but will also allow you to use the app. Step 1: Go to Backend dashboard of your site and navigate to JomSocial Backend -> Configuration -> Integrations and enter the API and Secret keys. Step 2: Save the configuration and go to the site frontend. 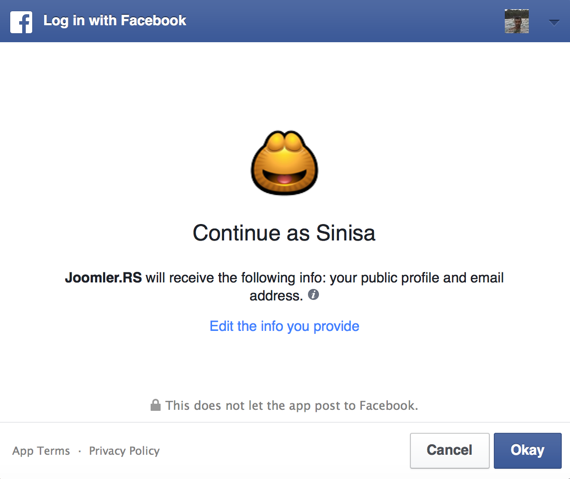 The Facebook Connect button should now be available on all JomSocial login forms. JomSocial Facebook Connect asks way too much permissions by default, and you will most likely encounter the issue with review process. This will ensure notice is gone and you can start enabling those options back once your application is approved by Facebook. Facebook will review your app to ensure a high-quality experience across apps. 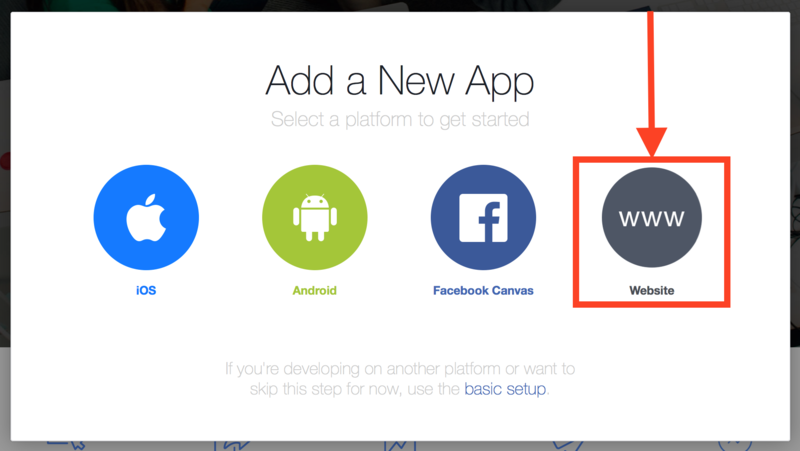 In general, your users must be aware that they are logging in and eventually posting to Facebook while using your app. Facebook imposes strict review process allowing app users to be in complete control over information they share with your app or back to Facebook. 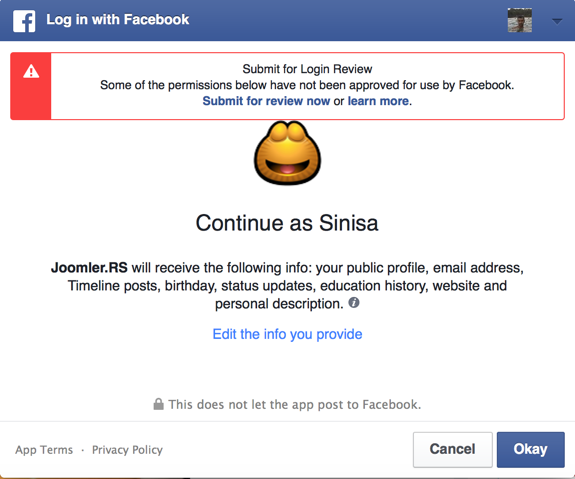 Your app can use Facebook Login to access public profile, email and users friends without submitting for review.